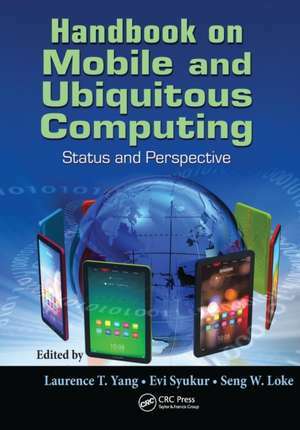 Consolidating recent research in the area, the Handbook on Mobile and Ubiquitous Computing: Status and Perspective illustrates the design, implementation, and deployment of mobile and ubiquitous systems, particularly in mobile and ubiquitous environments, modeling, database components, and wireless infrastructures. Containing the contributions of more than 70 researchers, practitioners, and academics from around the world, the book brings together the latest research on the subject to provide an understanding of the issues being addressed in the field. Filled with extensive references in each chapter, it provides you with the tools to participate in the design, implementation, and deployment of systems that are connected, proactive, intuitive, and constantly available. Dr. Evi Syukur is the cofounder and CEO of HexaMobilIndo Consulting company. She served as a senior researcher at the University of New South Wales (UNSW), Sydney, New South Wales, Australia. She also served as a .NET developer at Yarra Trams Company, Melbourne, Australia. Syukur received her PhD in computer science from Monash University, Melbourne, Victoria, Australia. Her research interests include service-oriented systems/ applications, context-aware service applications, and smart services/objects. She has also published widely in several international journals, conferences, and workshops. She has been on the PC cochairs, publicity cochairs, and program committees of numerous international conferences and workshops. She was the co-guest editor of selected International Journal of Pervasive Computing and Communications (IJPCC) special issue on ubiquitous intelligence in smart world. Professor Laurence T. Yang is a professor in computer science in the Department of Computer Science at St. Francis Xavier University, Antigonish, Nova Scotia, Canada. His current research includes parallel and distributed computing as well as embedded and ubiquitous/pervasive computing. He has published more than 350 papers in various refereed journals, conference proceedings, and book chapters in these areas, including around 120 international journal papers such as IEEE and ACM Transactions. He has been actively involved in conferences and workshops as a program/general/steering conference chair and numerous conference and workshops as a program committee member. He served as the vice chair of IEEE Technical Committee of Supercomputing Applications (2001ߝ2004), the chair of IEEE Technical Committee of Scalable Computing (2008ߝ2011), and the chair of IEEE Task Force on Ubiquitous Computing and Intelligence (2009ߝtill present). He was in the steering committee of IEEE/ACM Supercomputing (SC-XY) conference series (2008ߝ2011) and currently is in the National Resource Allocation Committee (NRAC) of Compute Canada (2009ߝpresent). Professor Yang is also the editor in chief of several international journals. He has also authored/-co-authored or edited/coedited more than 25 books from well-known publishers. The book Mobile Intelligence (Wiley, 2010) received an honorable mention by the American Publishers Awards for Professional and Scholarly Excellence (The PROSE Awards). He has won several Best Paper Awards (including IEEE Best and Outstanding Conference Awards such as the IEEE 20th International Conference on Advanced Information Networking and Applications [IEEE AINA-06]); one Best Paper Nomination; Distinguished Achievement Award in 2005 and 2011; and Canada Foundation for Innovation Award in 2003. He has been invited to give around 20 keynote talks at various international conferences and symposia. Dr. Seng W. Loke is a reader and associate professor in the Department of Computer Science and Computer Engineering at La Trobe University, Melbourne, Victoria, Australia. He leads the Pervasive Computing Interest Group at La Trobe. 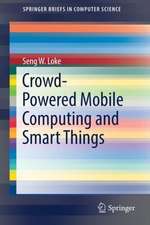 He has coauthored more than 220 research publications, including numerous works on context-aware computing and mobile and pervasive computing. 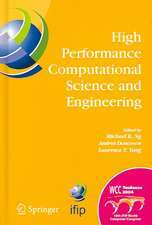 He authored Context-Aware Pervasive Systems: Architectures for a New Breed of Applications (Auerbach, 2006). He has been actively involved on the program committee of numerous conferences/ workshops in the area, including pervasive 2008. He received his PhD in 1998 from the University of Melbourne.